Gather with us for a meal followed by Adult Study along with the Children and Youth Choir rehearsal. st. Stephen's is an orthodox Anglican church. As a community of believers in Jesus Christ, we are an expression of the One, Holy, Catholic, and Apostolic Church. 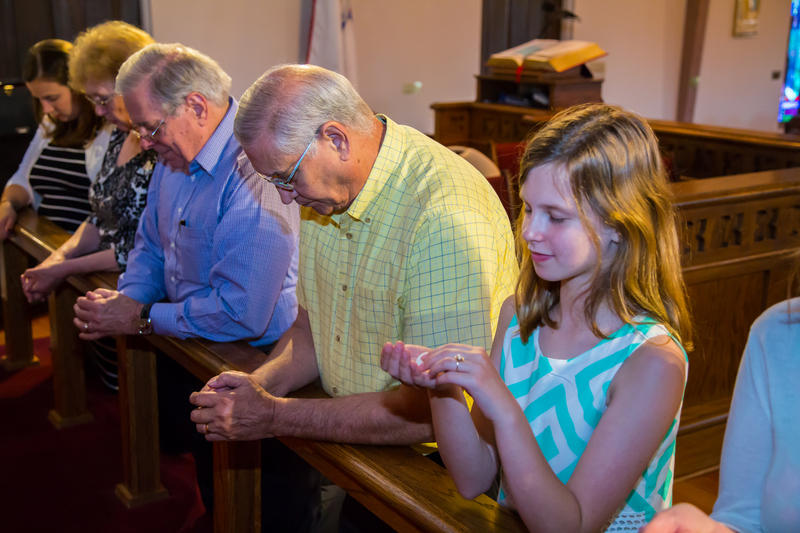 In Christ, we are united with all true believers and the heavenly chorus of angels and saints as we follow the order of worship prescribed by the Book of Common Prayer. Through worship we are a part of something much greater than ourselves. We are participants in the Kingdom of God manifest in our individual lives, our families, our community, and the world. St. Stephen’s is an intergenerational community rooted in the Gospel of Jesus Christ crucified. It is a place where you can ask the hard questions. We are committed to walking this life together in love and grace. You would be a most welcome addition to our family. Come and see what it is that Christ is doing in and through us. Come and find a home worshipping and praising the Lord with us. Fr. Jonathan Kell is a native of Harrisburg, Pennsylvania. He served as an assisting priest at Holy Trinity Reformed Episcopal Church in Fairfax, Virginia and St. Mark’s Reformed Episcopal Church in Jenkintown, Pennsylvania. He resides with his wife, Annie, and three children Lily, George, and Samuel in Brandon. He holds a B.S. in Bible from Cairn University and a M.Div. from the Reformed Episcopal Seminary. Dcn. Richard is a native of Mendenhall. He holds a B.S. in Education from Mississippi State University. He pursued his theological education at Wesley Biblical Seminary and Millsaps. Dcn. Richard worked for Rankin County Public Schools and Mississippi Department of Rehabilitation Services before entering pastoral ministry in the United Methodist Church. He was licensed as a pastor and served several rural churches from 1996-2006. In 2006 he was ordained deacon in the Reformed Episcopal Church. He has served St. Stephen’s faithfully since. Raised in South Florida, Dcn. Calvin was formed by Anglicanism. At the age of 13, he discovered his appreciation for organ music, and began training on the piano and organ through his local parish organist, Roger Blankenship. Over the course of 12 years he served as an on-off organ substitute at St. Stephen's Anglican Church. He enjoys French pipe organs and French organ compositions, and as of 2018 he proudly serves as the organist of St. Stephen's. Calvin was ordain a Deacon on April 8, 2018 and attends Cranmer Theological House. Dcn. Calvin is also studying organ under Dr. Bob Knupp of Mississippi College..
Dcn. Eric is a native of Laurel. He holds a B.A. in Psychology from the University of Southern Mississippi, a M.A. in Theology from Reformed Theological Seminary in Jackson and a Ph.D. in Religion from McGill University in Montréal. Eric has published various articles in historical theology, and he currently works as an editor at the Davenant Institute. He was ordained to the diaconate in 2018 in the Reformed Episcopal Church and is taking courses at Cranmer Theological House as he works toward ordination to the priesthood. Eric is married to Aubrey and they have two children, Asher and Evelyn.